Hours before the U.S. Treasury announced sanctions on Kim Jong-un, North Korea issued a breakthrough statement. There was a train wreck last week, but not a lot of people noticed, swooning as they were over the July 6 announcement that the U.S. Department of Treasury had designated Kim Jong-un by name on a new list of individuals sanctioned for human rights violations. In the dance of jubilation, few had the time or inclination (to borrow a line from Irma La Duce) to pay attention to a DPRK government spokesman’s statement released earlier the same day. That statement made clear what the North Koreans have been hinting at for some time—yes, they were willing to talk about denuclearization. Notice I did not just say that the North has declared that it would completely give up its nuclear arsenal. Instead, Pyongyang has taken a major, long-term step of defining the scope of denuclearization in terms that potentially brings the discussion back down to earth, reintroducing concepts that both Seoul and Washington had previously accepted. Those concepts? At their core, they are not those of the September 2005 Six Party joint statement, but the January 1992 North-South Denuclearization Declaration. It is important to pay attention to the vehicle Pyongyang used to convey the latest position—a DPRK Government spokesman’s statement, among the highest on the North’s ladder of authority. Statements at this level are generally used to signal important new policies. They are not employed to spread pixie dust, but neither are they entirely straightforward. They need to be—dare I use this language in mixed company—parsed. The denuclearization being called for by the DPRK is the denuclearization of the whole Korean peninsula and this includes the dismantlement of nukes in south Korea and its vicinity. For Pyongyang that definition provides a better, more realistic, more salable, and more defensible starting point—that is, if there is to be “denuclearization,” it will pertain very specifically to the Korean peninsula. At this point, there is no need to stumble over what is meant by “and its vicinity.” This is an accordion term, and will doubtlessly end up being expanded or contracted were negotiations ever to get started. If “vicinity” raises flags, that’s only natural, and the North Koreans know it. Rationale. The statement then wades into the tricky question of how to justify this new position. In recent years, the North has reserved wriggle room for itself. It has claimed that U.S. actions and hostility had forced the DPRK finally to move to acquire nuclear weapons, while routinely hedging its stated determination to keep and develop these weapons with qualifiers such as “as long as,” e.g., as long as the U.S. continued to threaten the North. Now, with a long-practiced ability to leap out of a corner, Pyongyang has switched the use of the qualifier from a barrier to a springboard. If the U.S. caused the problem, then the U.S. must also help resolve it, and here, precisely, are the things the Americans can do. This is precisely the fundamental reason that the denuclearization of the North—which the United States, the puppet gang, and its other following forces are persistently demanding—can never work under any circumstances. Read quickly, that sentence looks to be a negation of what the statement is otherwise supposed to accomplish. Read carefully, however, and in the context of what follows, it becomes clear that the argument in that passage that the North is not retreating into accepting the U.S. definition of denuclearization but is advancing with its own. It is the particular definition of denuclearization that the U.S. advances that “can never work,” but with change in the definition of denuclearization, the statement suggests, something can be accomplished. The United States, which is attempting to realize its ambition to invade our Republic at any cost by maintaining its nuclear superiority, and the puppet gang that has been completely following it, should seriously reflect on their past riddled with the crimes of systematically obstructing our struggle for the peace and denuclearization of the Korean Peninsula, before they talk about somebody’s nuclear abandonment. A vexing problem in dealing with the North typically is not just who does what, but equally important, who goes first. For the North Koreans, sequence is a form of substance. It is organic to a solution, not simply for its practical implications but also for the deeper symbolism in a situation where neither side trusts the other, not one bitty iota. In the context of the July 6 statement, with the assertion that the U.S. must go first, Pyongyang is opening the door to the expectation that theirs is a next move and, at least notionally, the North can take steps that it might previously have rejected. If such security guarantees are actually made, we will also take corresponding measures, and an epoch-making breakthrough will open in realizing the denuclearization of the Korean Peninsula. Of course, no one will know what “corresponding measures” might be unless someone asks. 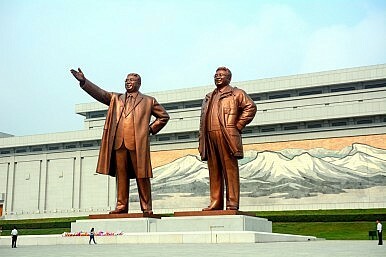 The obvious—and hardly accidental—similarities between the North’s current proposal and the 1992 North-South denuclearization declaration are noteworthy, not least because Pyongyang knows that document included a ban on reprocessing and enrichment. That the 1992 N-S joint declaration didn’t work is beside the point; in fact, it never even got through the stage of setting up implementation arrangements, the fault of both sides. The key point now is that someone in Pyongyang has apparently decided that the North’s approach over the past several years has not given it the flexibility it needed to deal with the issue, whereas a more realistic concept, based on ground already plowed, might do that. Whether the July 6 proposal itself, or even just some of its key components, will survive to emerge again after the dust from recent U.S. actions settles is impossible to say. It is often the case that when the North sets a new fundamental policy position, it may be temporarily obscured and seemingly abandoned, only to be reoccupied in the future (albeit sometimes in the very distant future). Of course, when they put this particular position together signaling a willingness to discuss denuclearization, it is unlikely that anyone in Pyongyang realized that just hours after its release, it would be flattened by an onrushing State-Treasury express going at full throttle into a dark and foggy night. Robert Carlin is a Visiting Scholar at the Center for International Security and Cooperation (CISAC), Stanford University. From both in and out of government, he has been following North Korea since 1974 and has made 25 trips there. The South and the North shall not test, manufacture, produce, receive, possess, store, deploy or use nuclear weapons. The South and the North shall use nuclear energy solely for peaceful purposes. The South and the North shall not possess nuclear reprocessing and uranium enrichment facilities. The South and the North, in order to verify the denuclearization of the Korean peninsula, shall conduct inspection of the objects selected by the other side and agreed upon between the two sides, in accordance with procedures and methods to be determined by the South-North Joint Nuclear Control Commission. The South and the North, in order to implement this joint declaration, shall establish and operate a South-North joint Nuclear Control Commission within one (1) month of the effectuation of this joint declaration. This Joint Declaration shall enter into force as of the day the two sides exchange appropriate instruments following the completion of their respective procedures for bringing it into effect. Signed on January 20, 1992. The Republican candidate again says he'd talk to the North Korean leader in person over the nuclear question.